This is a rectangular flange Hair Bobbing porcelain sign. This particular Hair Bobbing sign is very colorful. 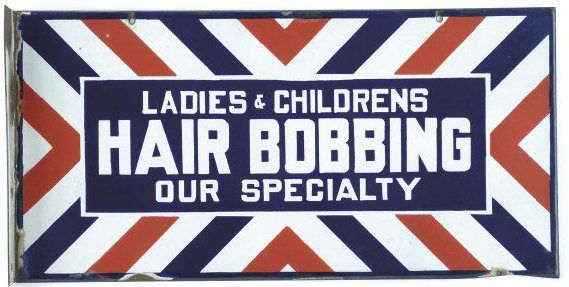 It reads, “Ladies & Childrens Hair Bobbing Our Specialty” in white against a blue background and features red, white, and blue stripes.